These are the easiest and yummiest biscuits to make with just 3 ingredients. They are super quickly to make and it’s a perfect way to have some fun time with your children at home! Place all ingredients in a bowl. Using a fork mix the egg and the nutella first and gradually add the flour to form a dough (no mixer needed). 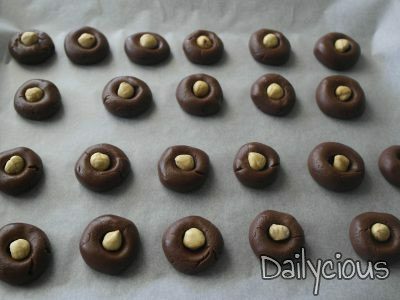 Form small balls (in the size of a hazelnut) and press them in the center with your thumb in order to make a small hollow. 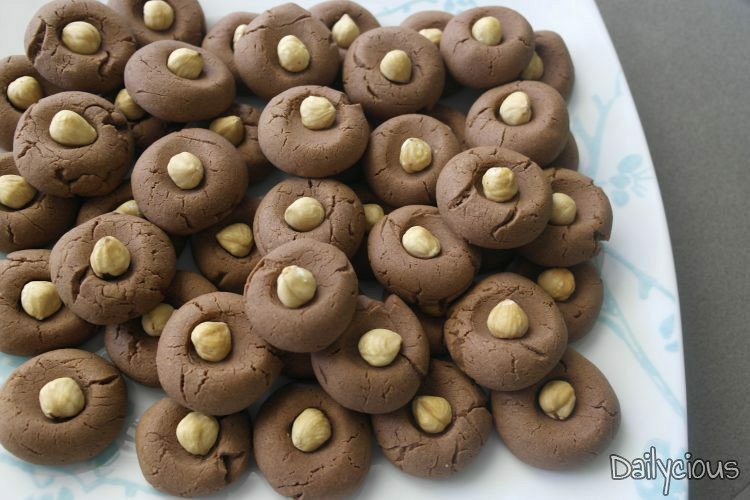 Place a hazelnut in the hollow of each biscuit. Form 20-25 same sized biscuits and place them evenly on a tray with a baking sheet. 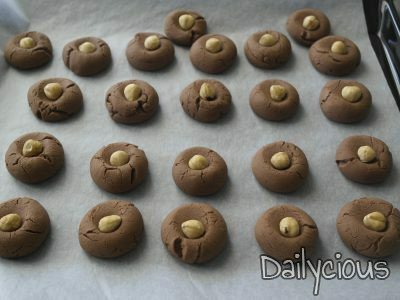 Bake the Nutella biscuits in preheated oven at 160°C/320°F for 20-25’ until they become dry and crunchy. Try to resist eating them all at once!